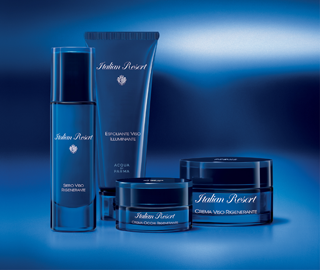 Enjoy the breathtaking beauty of the Med with Acqua di Parma Blu Mediterraneo Italian Resort spa skincare. Like spending the day on the shores of the Mediterranean. More than just a skincare collection, Blu Mediterraneo Italian Resort comprises a luxurious ritual that marries relaxation with the utmost in cosmetic pleasure. Just as at the end of a day spent on the shores of the Mediterranean, your skin rediscovers its natural beauty and shine. Your face is radiant, your eyes glowing and relaxed and your body and soul are regenerated, and in complete harmony.